It would not be proper to end exemptions midway as some industries may have been set up based on them, said the finance minister. Budget 2018 provided for lower tax rate for corporates with turnover of up to Rs 250 crore. 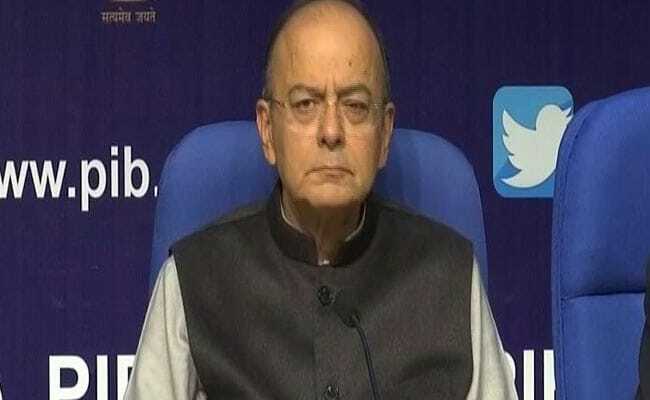 New Delhi: Finance Minister Arun Jaitley said today that corporate tax rate can be brought down to the promised 25 per cent only after all the exemptions given to the industry have ended. Speaking at a post-Budget meeting, organised by industry body Ficci, he said he had in 2015 promised to cut corporate tax rate to 25 per cent, from 30 per cent, in four years. Jaitley added however that he had also set a condition -- all exemptions would have to go. It would not be proper to end exemptions midway as some industries may have been set up based on them, he said. And therefore, the opportunity to reduce the corporate tax rate to 25 per cent will arise when all the exemptions end in the due course, he said. In the Union Budget 2018-19, presented last week, Jaitley provided for lower tax rate for corporates with turnover of up to Rs 250 crore. For the remaining 7,000-odd companies, the average effective tax rate after considering the exemptions comes to about 22 per cent, he said. On fiscal deficit, he said the target of trimming it down to 3.2 per cent of the GDP in the current fiscal, ending March 31, was missed largely due to GST revenues accruing only for 11 months as against the expenditure being accounted for 12 months. Revenues under the Goods and Services Tax (GST), which replaced 17 central and state levies including excise duty, service tax and VAT, accrue only after a month in which the sales are made. In contrast, the revenue from excise used to accrue just as the products left the factory. So, for the current fiscal, the government accounted for revenue for only 11 months, with the accruals of March coming in only in April. Next year onwards, the 12-month cycle would be complete, he said, adding that the buoyancy in GST collections as well as indirect taxes gave him confidence that it would be easier to meet the fiscal deficit target of 3.3 per cent set for 2018-19. For the current fiscal, the deficit target has been set at 3.5 per cent as against 3.2 per cent previously stated. The fiscal deficit or gap between total expenditure and revenues has been pegged at 3.3 per cent for 2018-19, as against the Fiscal Responsibility and Budget Management (FRBM) mandate of 3 per cent.